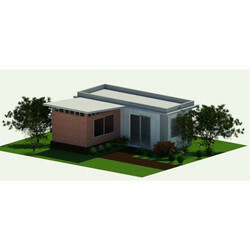 We manufacturer Modern Modular Building System. 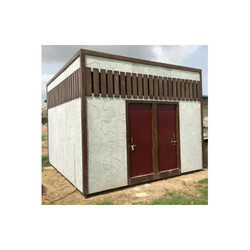 Please contact us for Modular Buildings like Home, House, Cottage, Shop, Workshop, Resort, Restaurant, Cattle Shed, Colony, Labour Colony, Site Office, Control Room, School, Service Booth. 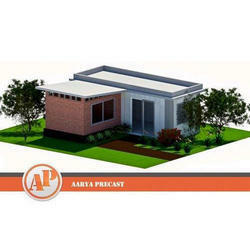 Modern Modular Bulding System is developed by Aarya Precast by keeping keeping in mind following points. The product desigend and developed by Team of Architects and Designer & Engineers. End result of such collaborative approach is very valueable in the eye of customer. Aarya Precast India Pvt Ltd was founded in 2012 with a mission to provide all three attributes namely Time, Cost and Quality in favour of customer. We invest our everyday in R&D to stay Industry Leader in Concrete Manufacturing & Fabrication. We have all inhouse team from concept to commissioning for small product development to big project execution. Our team has all knowledge to better serve our customers. Aarya Precast India Pvt. Ltd. offers you smart solutions for economical, time-saving & portable units in every sector of development i.e housing, industrial, commercial, institutional etc. Our learnings and experience has led us to create modern, comfortable and affordable habitat for our esteemed customers. Modern Modular Building System is developed by Aarya Precast to create range of building spaces for various usage like following. Aarya Precast has developed various libraries of Modules, Facades, Colors, Textures; so that our customers can select their desired products / services to get highly customised Modular Building system. We help them navigate thro' the process of selection as per their budget and requirements. Please find our introductory catalog for your reference. Kindly share your views or your requirements to get assistance from our team. 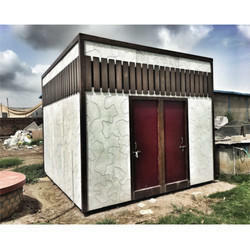 Looking for Modular Building ?